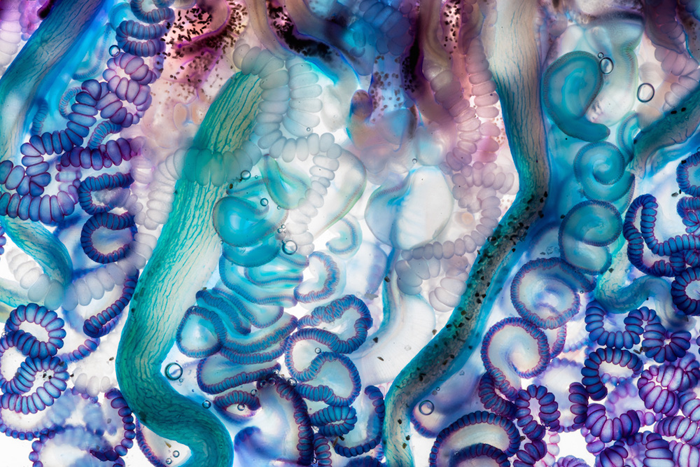 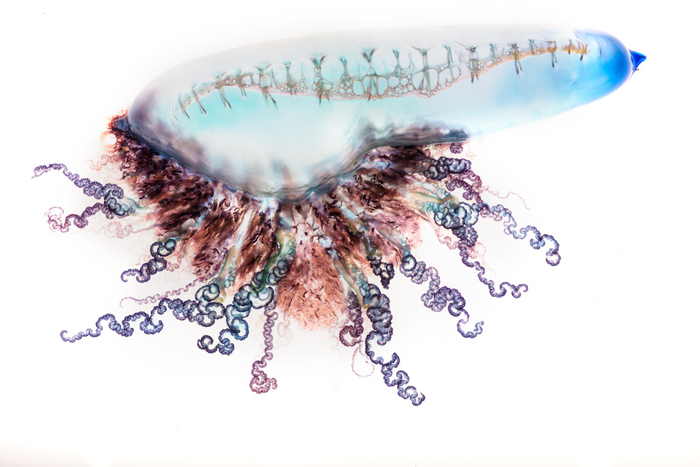 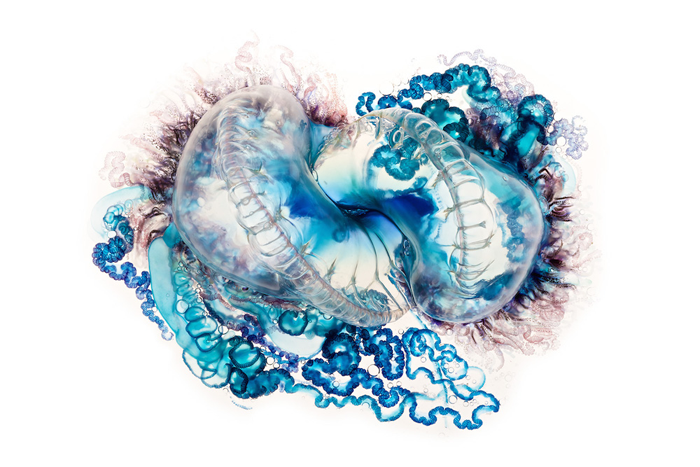 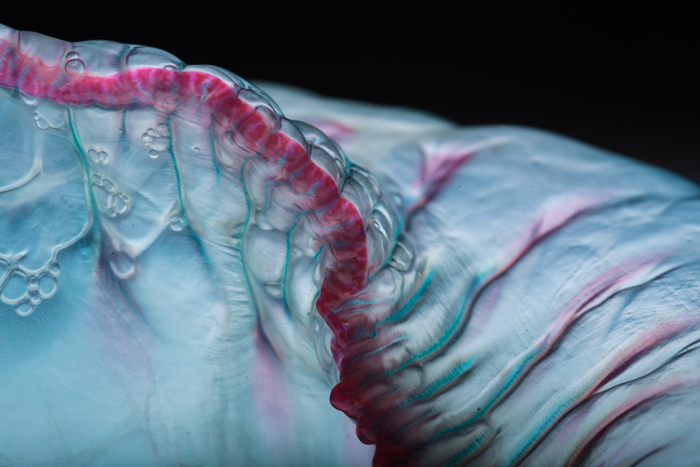 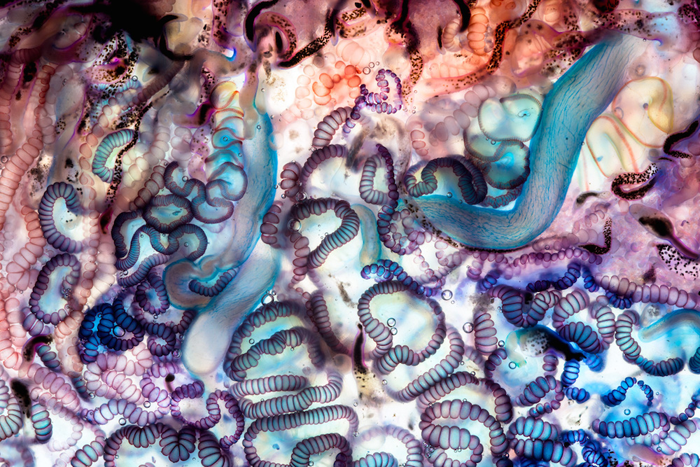 Artist, Aaron Ansarov, takes absolutely stunning photographs of jellyfish. 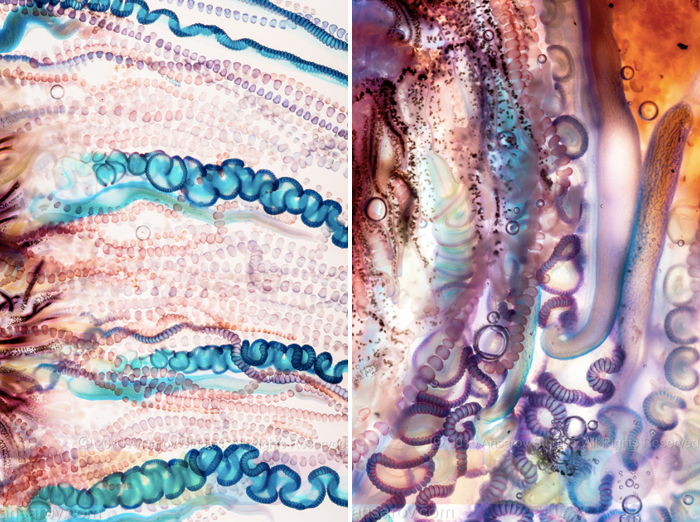 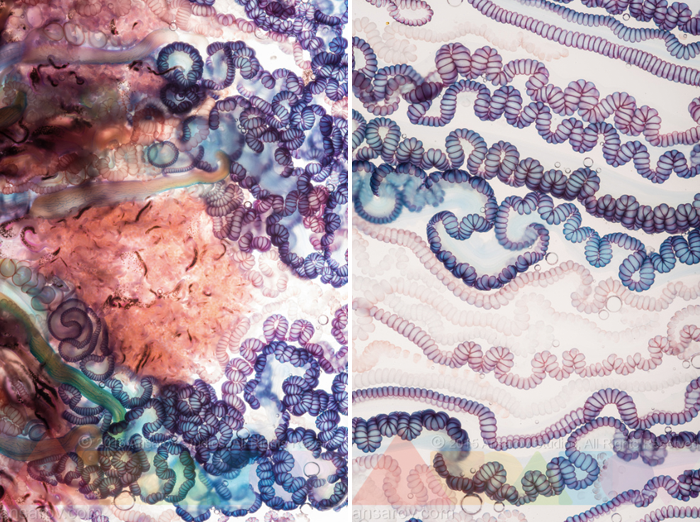 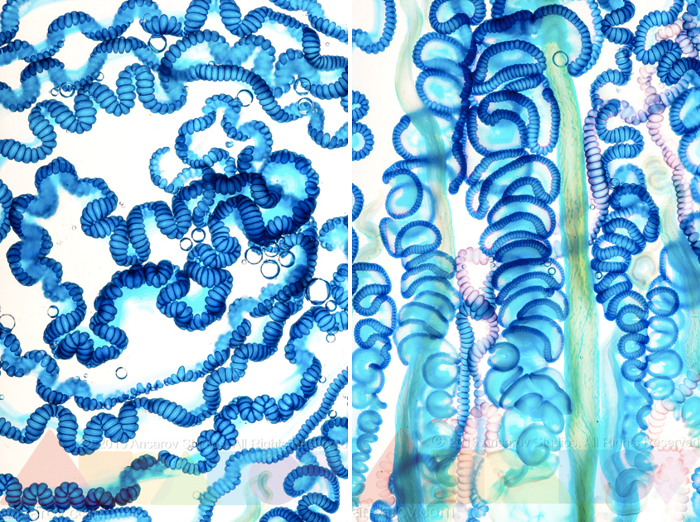 My mom is a pathologist and the photographs of the jellyfish tentacles remind me of looking at slides under a microscope. 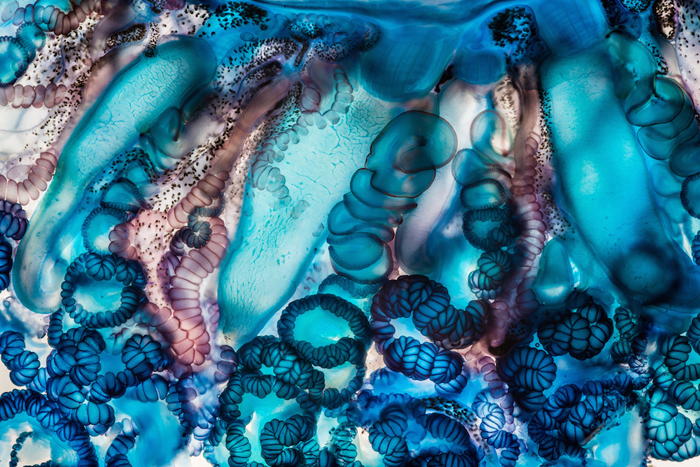 The colors are vibrant and immediately caught my eye when scrolling through Colossal. 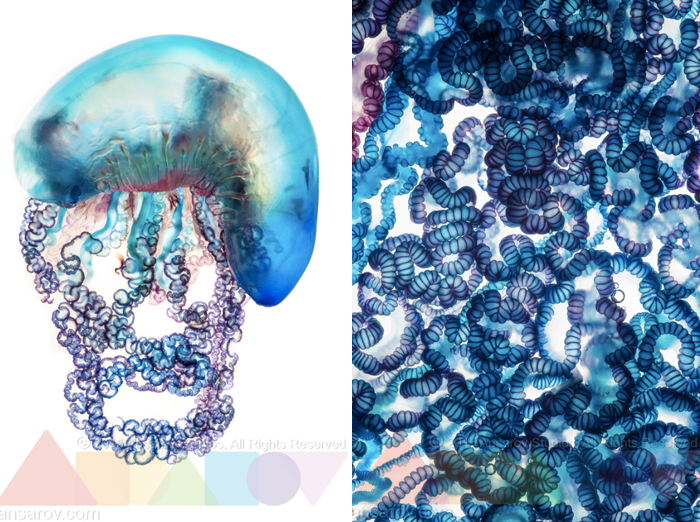 I love learning about new artists and seeing new creative ideas.